In the wet months of the year, nothing is more annoying to a homeowner than household mold. When it’s cold and wet outside, all we want to do is curl up with the heat cranked on and hibernate the day away. But these conditions can lead to mold in the house in no time. It can feel like nothing is safe from mold. What starts out as a tiny spot can turn into a microbial wildfire in no time, forcing you to put your prized possessions in the garbage. But is mold more than just an annoyance? Is it something that could potentially cause health hazards that could be detrimental to your whole family? Read on to learn more about what to do when there is mold in the home. Mold is a fungus made up of tiny organisms. These organisms are a crucial part of nature, as they work to break down dead things and turn them into usable energy for the earth. It thrives on moisture and creates tiny spores that move through the air. There’s no escaping mold. It’s everywhere, and that’s a good thing. But when mold starts to creep into your house and reproduce, you could have a problem. Mold is also adaptable. It can grow on tons of surfaces, like clothing, wood, and paper. And the way it looks changes depending on the type of mold growth in your home. Some common appearances of molds can be colors like yellow, white, or blue. They can look rough or soft and fuzzy, depending on the type of mold and where it’s growing. How Does Mold Get Into the Home? Mold is sneaky. It’s had to adapt in order to survive all this time! We can’t see the tiny spores, but as we mentioned earlier, they’re everywhere. All it takes for mold to sneak into your home is for a few spores to attach on someone or something entering your home. If you keep your windows or doors open, that’s another way for mold to creep in. We can say the same for ventilation systems. But mold can only grow if the spores land in just the right spot. That is– places with lots of moisture and the right balance of heat and darkness. A few things for the growing spores to feed off of won’t hurt either. Once mold starts to grow, it’s hard to miss unless it’s hidden away. On top of the changing appearance of your home, you’ll notice a musty smell. So it sounds like mold is inescapable. So… is it really such a bad thing? While you’re not wrong in wanting a home clear of mold, that’s not to say that it all causes health problems. The average person with healthy lungs isn’t likely to experience any major health issues stemming from mold inhalation. But mold does produce a few things that can hurt people with sensitivities. Mold creates allergens, irritants, and substances that can be toxic. Mold can be an irritant for anything from your eyes to your throat, even if you’re not allergic to mold. People with mold allergies can experience things liked runny or stuffy noses, itchy throats, sneezing, and watery eyes. Another thing to consider when it comes to the level of danger surrounding mold is the lung health of the people in your family. If someone has asthma, their chances of having an asthmatic episode increase when mold is around. This is especially true if they’ve got a mold allergy. While the Centers for Disease Control and Prevention doesn’t consider mold exposure to always be a health problem, the World Health Organization has a different take on the matter. 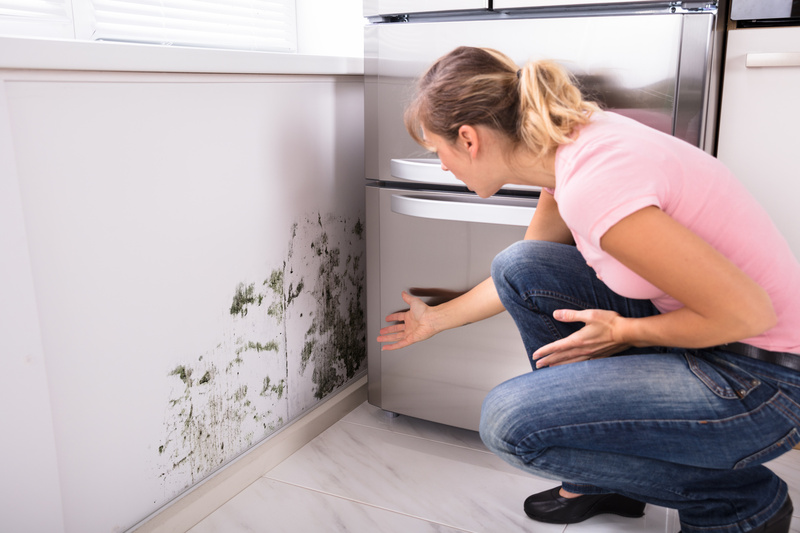 To the WHO, mold should be considered dangerous at all times because the environment that mold thrives in can create chemical and biological changes that pollute the air. According to the WHO, they consider people who are in contact with mold at risk for respiratory health issues. Whether or not two of the world’s leading health organizations can agree on the dangers associated with mold, it’s important to take care of it right away. The best way to fight against mold is to stop it before it starts to grow in your house. And while you can’t stop the spores from attaching to your clothing or sneaking in through an open window, you can eliminate the environment that mold likes to grow in. Make sure that your home doesn’t have a ton of wet areas or places that stay damp for a long time. Ventilate your kitchen, bathroom, and laundry room. Also, you should do whatever you can to make sure that outdoor water stays outdoors. If you think you might have an issue of mold in the home, you can probably take care of it yourself. Spray an antimicrobial agent onto the mold and scrub it thoroughly with a brush. It’s a good idea to wear protective gear while you do this, just in case. When you’re done, make sure you wash your clothes so the mold spores don’t follow you to other areas of your house. If your mold issue is too big for you to handle alone, you can always call a professional for help. The growth of mold in the home is never a pleasant sight. No one likes walking into their home knowing that the air is musty and that there’s an unsightly patch of mold growing somewhere. However, just because it’s ugly doesn’t mean it’s going to pose a threat to your health. You should always take care of any mold issues as soon as they arise, regardless of whether you’re allergic to it. For more information about restoring a damaged area of your home, give us a call today!